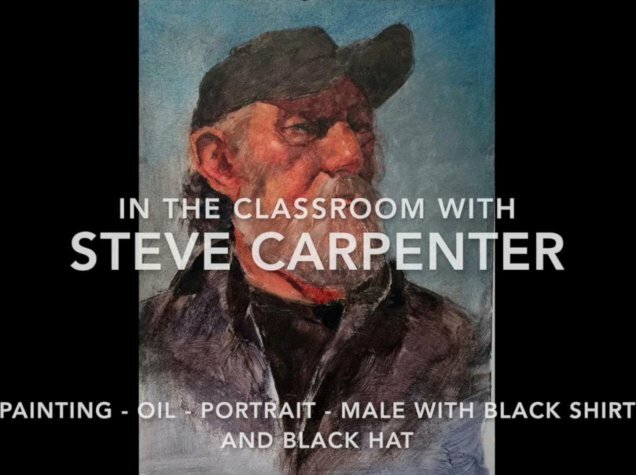 This is a complete portrait painting demonstration in oil. Follow Steve from the beginning charcoal drawing through the finished portrait. All aspects of portraiture are investigated: design and rendering of the drawing, initial color composition determined with thin glazes, establishment of middle tones, setting the shadow areas, and building and refining the portrait with thick, rich color and vibrant highlights.